While they don't use the spacing provided by the 3 point line, I saw similarities to the motion offense we run: the constant moving, constant screening. And researching more about Doug Moe and his offensive philosophy I came across a theory that speaks to me and my philosophy..The Chaos Theory. Create a "reflexive, furious play opponents can’t predict." Our program's plays are more concepts from which we play from. We'll call "LA' which means the initial action is a UCLA Cut, but after that we're just playing our motion offense. While in our motion, we read the defense and flow into screens and cuts based on eye contact, and indiscernible hand signals. It is movement that is organized but unorganized. There is not much out there to reference to concerning the Chaos Theory, but the below article from Curtis Harris on ESPN's True Hoop is a pretty good place to read up on the philosophy. And I wish to thank and compliment Mr. Harris on an article that best articulates a view I truly embrace: "Elevating your team’s play to chaos is the pinnacle of a team in control of itself and sure of its mission." It seems counterintuitive that chaos is something NBA coaches could ever want on the court. “In all sports,” Sloan panelist Bill James chimed, “all coaches overuse strategies that give them the illusion of control.” Calling copious plays and taking timeouts at the slightest hint of trouble are hallmarks of this illusion. Coaches who have real control of their team have put in countless hours of practice and embrace the beauty of chaos during games. 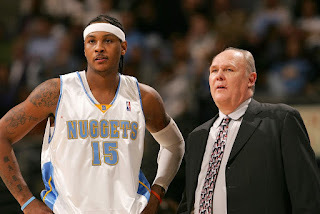 For former NBA coach George Karl, being a masterful play-calling tactician is the tip of the iceberg for good coaching. Below the surface is an insistent faith in chaos. This doesn’t mean teams are bumbling around the court. Instead, it signifies reflexive, furious play opponents can’t predict. A coach should do more than drill memorized plays into the collective brain of a roster. Great coaching goes a step further and creates a cohesive unit that operates seamlessly without thought. Karl particularly emphasized the end of third quarters and beginning of the fourth quarters as times when he wanted his team to unleash pure anarchy. 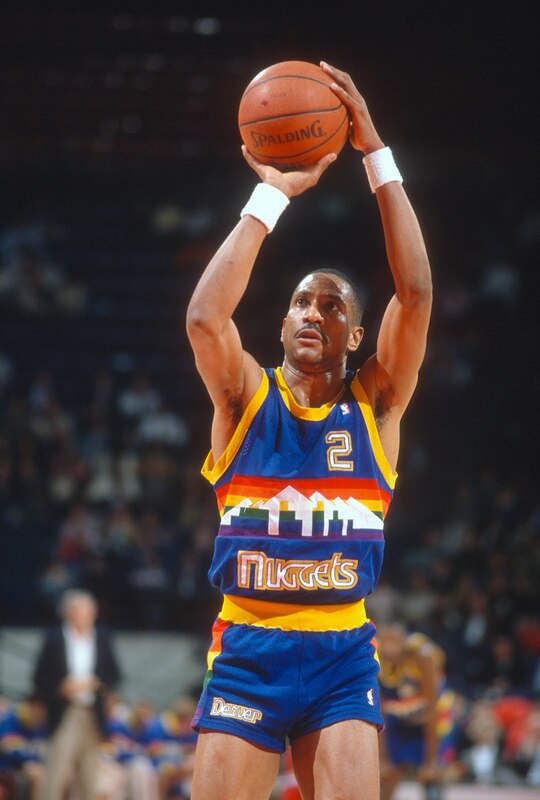 By playing a helter-skelter brand of basketball, his squads could whip themselves into an unstoppable fury while demoralizing the opponent. The knock on this chaos theory, though, is that it doesn’t lead to championship-caliber basketball. In the playoffs, you have to know how to grind out a tough seven-game series. Strengthening this thought is Karl’s 2012-13 Denver Nuggets. They reeled off 57 wins. At home, feeding off the supportive crowd, they were an impressive 38-3. After all that, though, they were bounced in the first round of the Western Conference playoffs. Other masters of mayhem seem to have suffered this same fate. Mike D’Antoni, Doug Moe, Don Nelson and Karl have a combined 4,605 regular-season wins, 20 division titles, five NBA Coach of the Year Awards, and even 14 conference finals appearances. But they have zero NBA titles. Depending on chaos appears a dead end road for winning titles. Despite the lack of titles, those four coaches are some of the best the NBA has ever seen. D’Antoni reinvigorated the league a decade ago with his Seven Seconds or Less Offense. Moe created offensive juggernauts in Denver in the 1980s. Nelson abstracted positions at all his coaching stops and made it easier for future coaches to reimagine what skills could be harnessed at different positions. Let’s not forget as well that some of the most successful, title-winning coaches in NBA history have also embraced the up-tempo chaos Karl championed. The Miami Heat under Erik Spoelstra are at their most dangerous and scintillating when they get into the open court and transform into the Flying Death Machine of Dwyane Wade dunks and LeBron James tomahawk slams. Sounds like harnessed chaos. 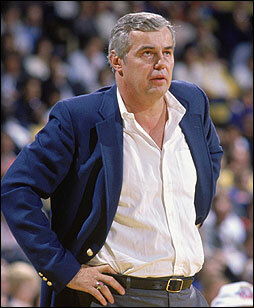 Spoelstra’s mentor, Pat Riley, did similar things 30 years earlier with the Showtime Lakers. They absolutely thrived on Magic Johnson dishing to James Worthy and Byron Scott on the break for high-flying finishes. Definitely a championship dynasty hitched to havoc. And the most successful team in NBA history -- the 1960s Boston Celtics -- was predicated on the chaos theory. Their coach was so confident in his, and his teams’, abilities that he had no more than 10 plays, plays that in actuality were no more than abstract concepts. Instead of X's and O's, what Boston coach Red Auerbach hammered home to his players was confidence in their chaotic philosophy. That commitment to chaos didn’t mean abandoning common mathematical sense. When defensive powerhouse Bill Russell was forcing shots on offense early in his rookie season, Auerbach rebuked his star center. Russell wasn’t out there to put up 25 points a game -- which could happen only on terrible efficiency. The Celtics coach reminded him that his greatest asset was defense and rebounding. If Russell could dominate those things, it’d allow Boston to enforce offensive chaos the opposition could not control. The array of analytics has multiplied dramatically since Karl began coaching -- and certainly since Auerbach’s days. These increasingly sophisticated numbers herald new avenues to control the action on the hardwood. Some things haven’t changed that much, though. The relationship a coach takes with his players still commands the success they will ultimately achieve. If Auerbach and Russell had an abysmal working relationship, the earlier reprimand could have ruined Boston’s season. Instead, they won 11 titles in 13 seasons. A similar discussion on someone’s advanced metrics today brings the same hazards. It also can bring similar rewards. The direction it goes depends on a coach able to effectively communicate a philosophy to his players. Dictating plays from the sideline night and day isn’t the peak of great coaching. It’s an illusion of cohesive control. Elevating your team’s play to chaos is the pinnacle of a team in control of itself and sure of its mission.